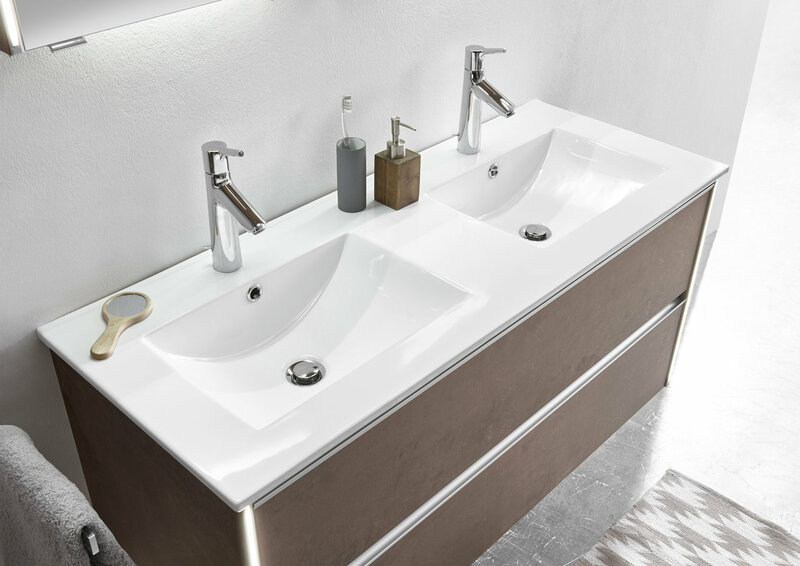 The SOLITAIRE 6040 features a new and exclusive design. 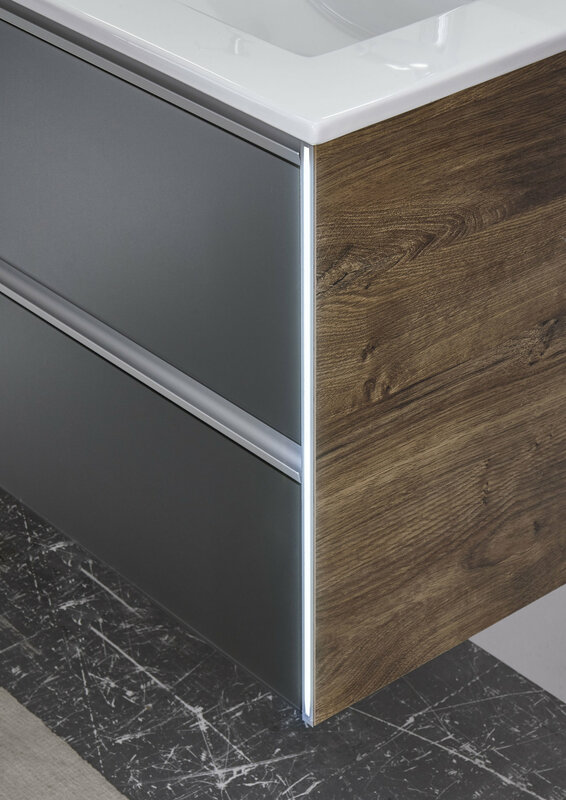 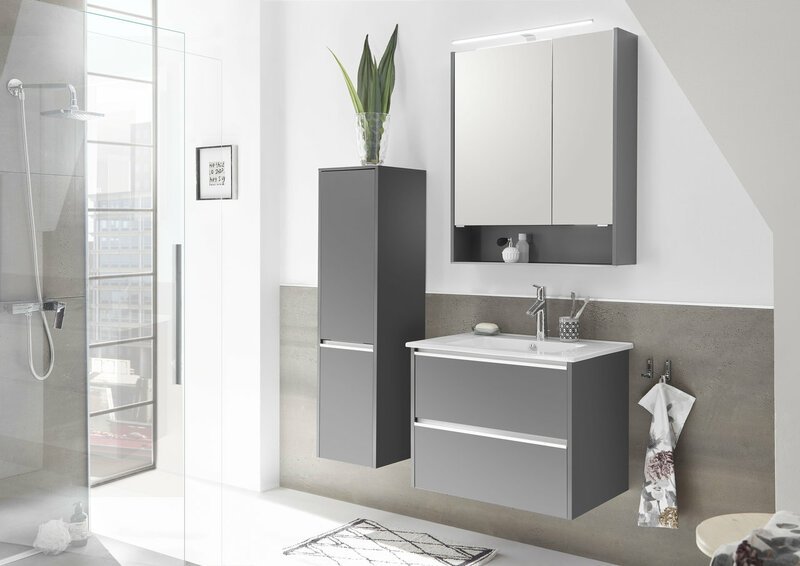 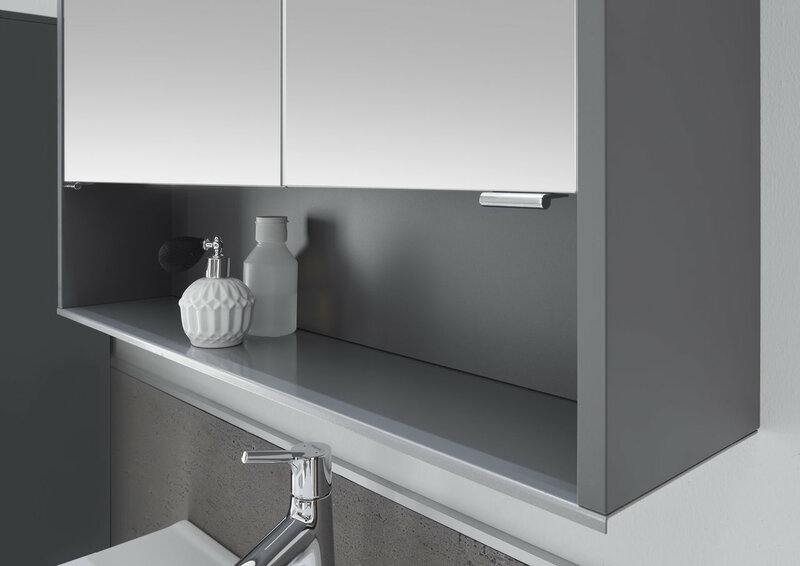 The linear, recessed cubic front panels and the integrated aluminium handle strips combine to create a very modern appearance. 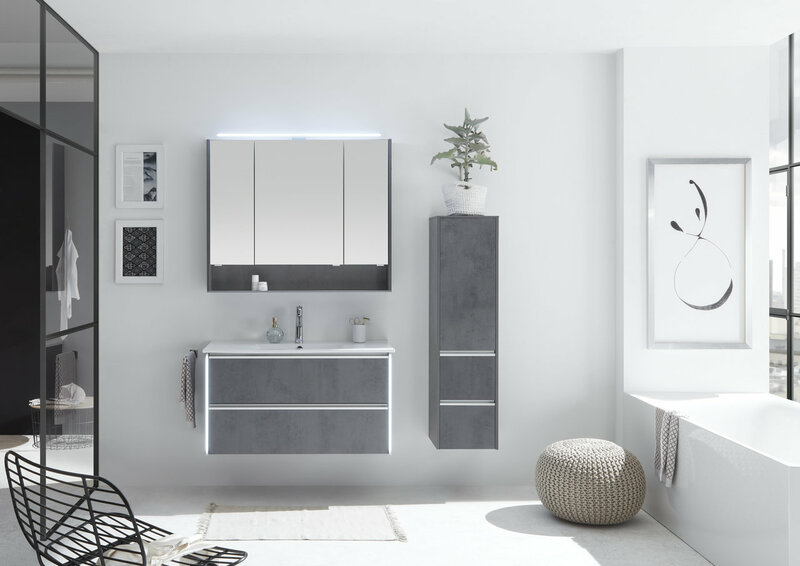 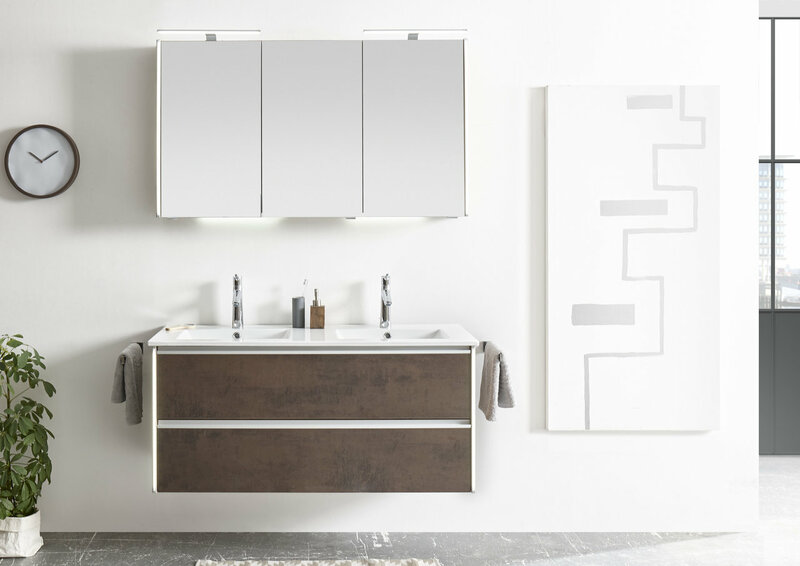 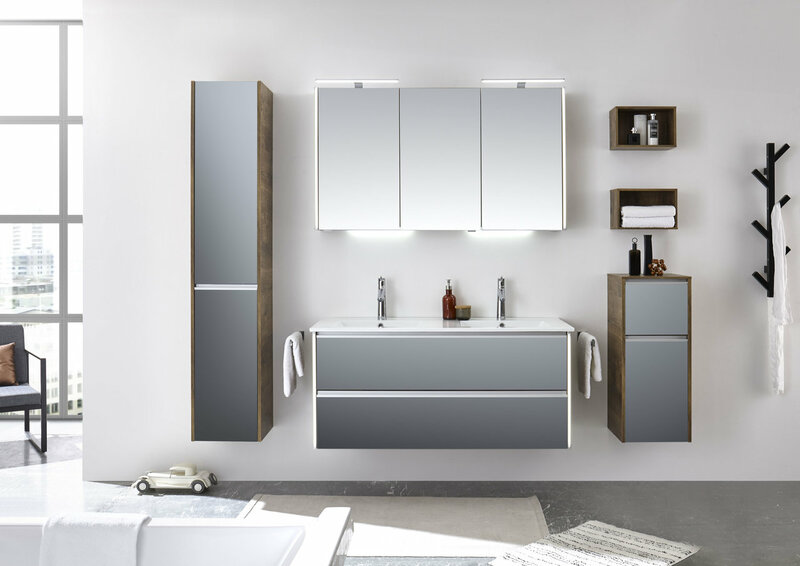 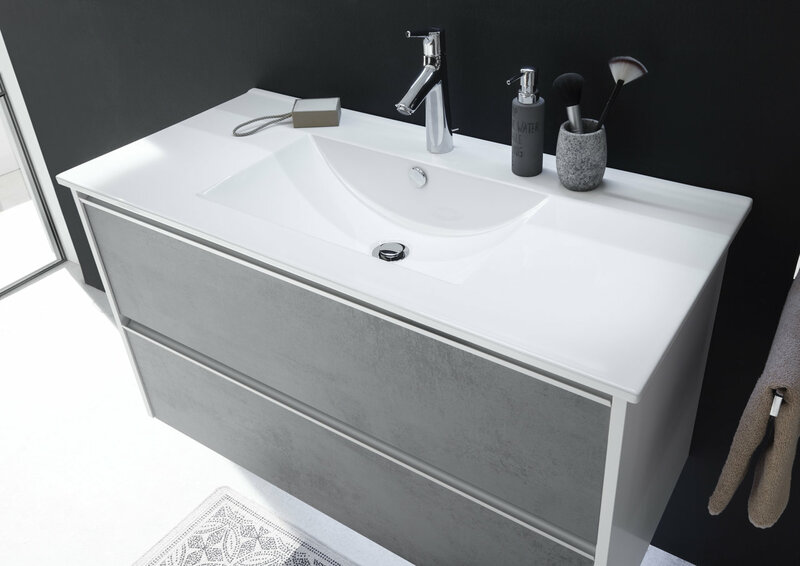 Depending on the desired atmosphere, the front panels and carcass designs range from the purest white to warm wooden décors and timeless grey tones to industrial oxide ferro. 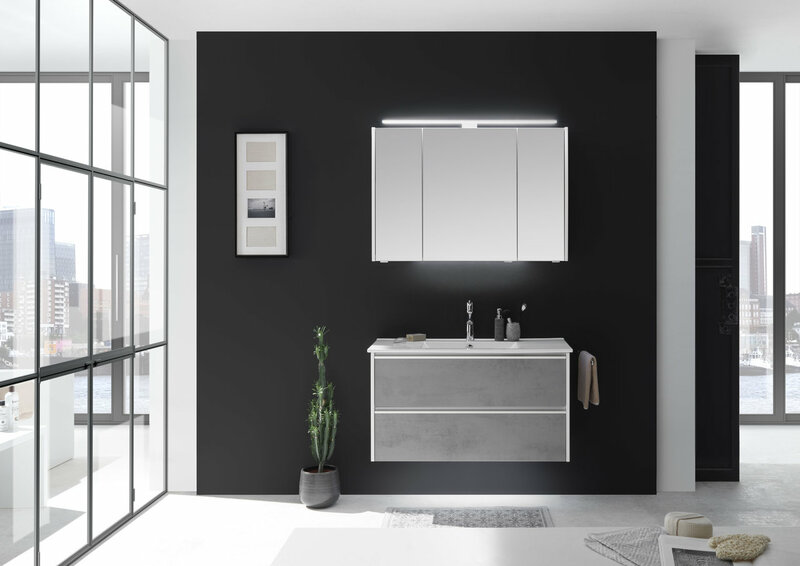 The shining glass fronts in particular create an extravagant appearance that brings a special aesthetic to your bathroom with these smooth, flat surfaces. 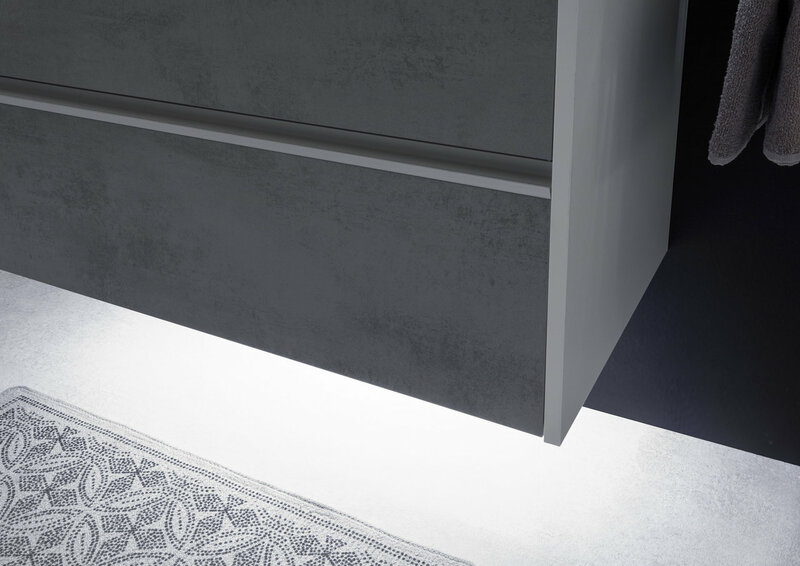 The range also boasts impressive technology, as the entire ensemble is accentuated by innovative integrated LED lighting.